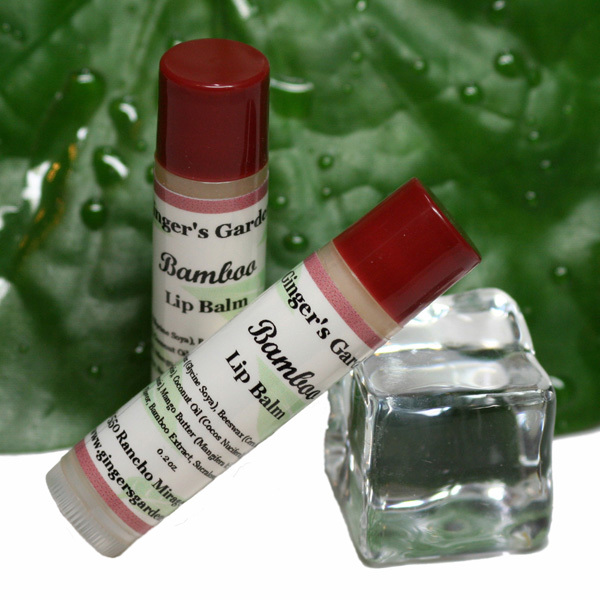 Buy this Bamboo lip balm for dry chapped lips and help add hydration and moisture. It's made with bamboo extract and your choice of Coconut or Rose flavor oil. Bamboo Lip balm is a yummy way to brighten your day and bring a smile to your lips. It's made with honey, bamboo extract and your choice of Coconut or Rose flavor oil. A good choice for temporary lip dryness, a slight gloss and overall smoothness. NOTE: Please mention your flavor choice in the comments section of the shopping cart when you check out. Ingr: Soy Wax, Beeswax, Almond Oil, Coconut Oil, Jojoba Oil, Mango Butter, Vit. E. Flavor Oil, Bamboo Powder, Mica.